Ina is an Associate in our Litigation & Dispute Resolution Team specialising in all aspects of insolvency law and practice, for both individuals and corporates. Ina provides specialist advice on areas including Director disqualification, annulments of bankruptcy, bankruptcy petitions, statutory demands on debtors, compulsory liquidation, restorations of companies to the Register, bankruptcy Restriction Orders and undertakings, possession proceedings, administration appointments, debentures and assisting office holders in investigational work. Ina joined Leathes Prior as a trainee solicitor in 2006, qualifying as a Solicitor with us in 2008. Ina's educational background includes a German law degree from the University of Trier, a Masters degree in International Commercial and Business Law from the University of East Anglia, language and cultural studies at the Sorbonne University in Paris and a Certificate of Business French from the Paris Chambre de Commerce et d’Industrie. Ina previously worked as a tutor at the University of East Anglia’s Law School and as a legal assistant for a legal expenses insurer in Norwich. 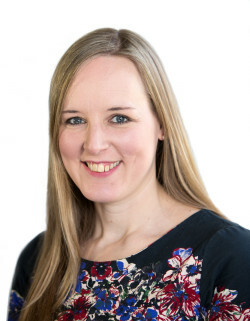 Ina is bilingual in English and German and, as a German speaking solicitor, able to assist German speaking clients as well as other clients who have business or personal dealings with links to Germany or Austria. Associate to watch. Ina is recognised as a practitioner who is always willing to go the extra mile for her clients and her thorough approach is greatly valued by her clients, for whom she acts in both personal and corporate insolvency disputes. Associate to watch, cannot praise enough. Provides an excellent and prompt service. Solicitor Ina Beurich provides excellent service. Responds to queries promptly and always keeps you informed.